Before vowing his allegiance to Wulder as a knight, Bardon heads to the mountains for solitude. His life is suddenly complicated by a woman and her granddaughter, N’Rae, on a mission to rescue the woman’s son trapped in a chamber of sleep. 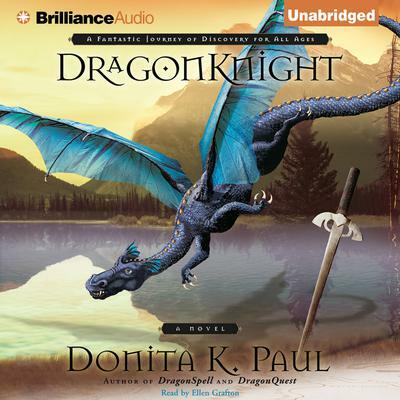 Bardon learns that more of Paladin’s knights are imprisoned—and suspects one of them is Dragon Keeper Kale’s missing father. The Secret Is in Their Hands—and Hearts The band travels north, uncertain of their destination and encountering numerous perils. When they unlock the chamber, they discover a dozen knights—who cannot be awakened. The journal holding the secret to rousing them is in an unknown language. How can they find the help they need, overcoming even graver obstacles, to rescue the knights? Return to the land of dragons and magic you discovered in DragonSpell and DragonQuest, in this finely crafted and memorable work of fantasy fiction with a core of eternal truth.